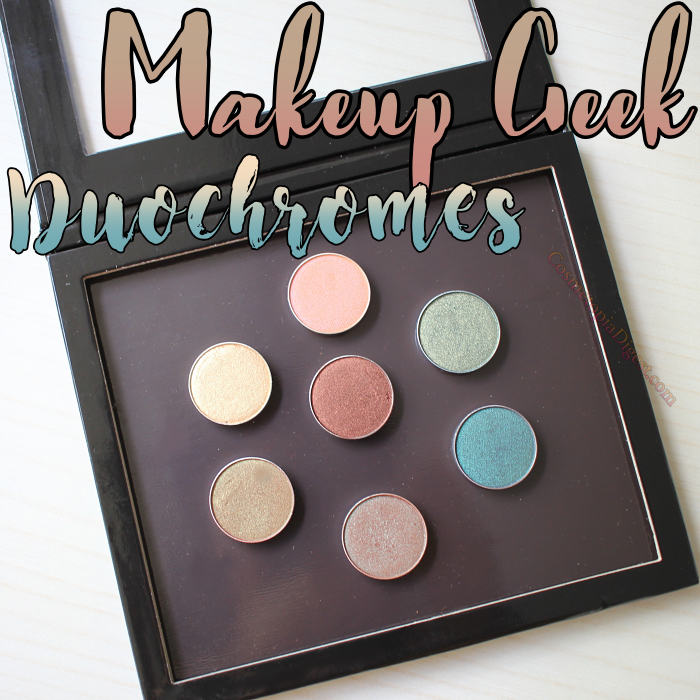 A few months ago, Beauty Bay had a lovely offer on Makeup Geek, and I indulged in some of their duochrome eyeshadows. I've become so hooked to these that I will have to get all the duochromes they have. The beauty of these is that you only need the one eyeshadow for a look - and maybe a highlighter or base that can go into the corners. 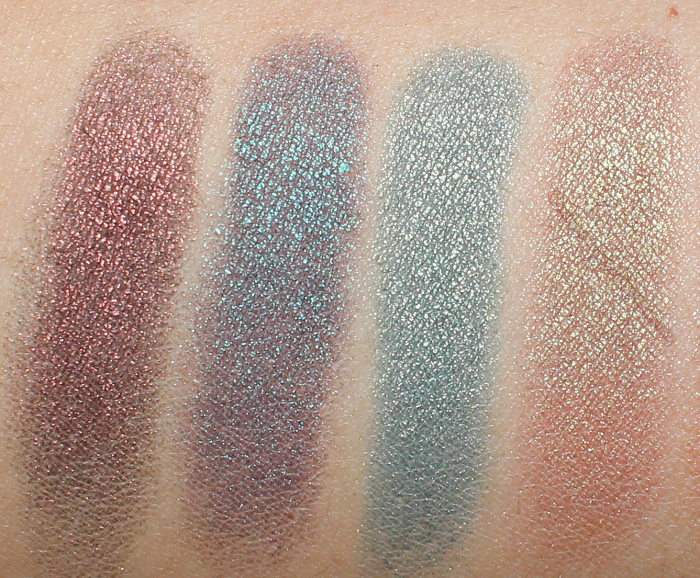 Scroll down for the review and swatches of seven of the Makeup Geek Duochrome Eyeshadows. 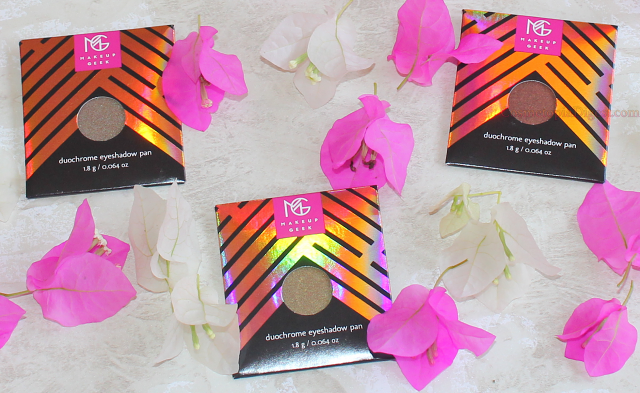 The Makeup Geek Duochrome Eyeshadow Pans come in holo packaging, in single pans, at just £4.95 each. I recommend getting a magnetic palette to hold them - I have one from PAC Cosmetics. Or you can DIY with a magnetic strip, some glue, and a pretty box of some kind. 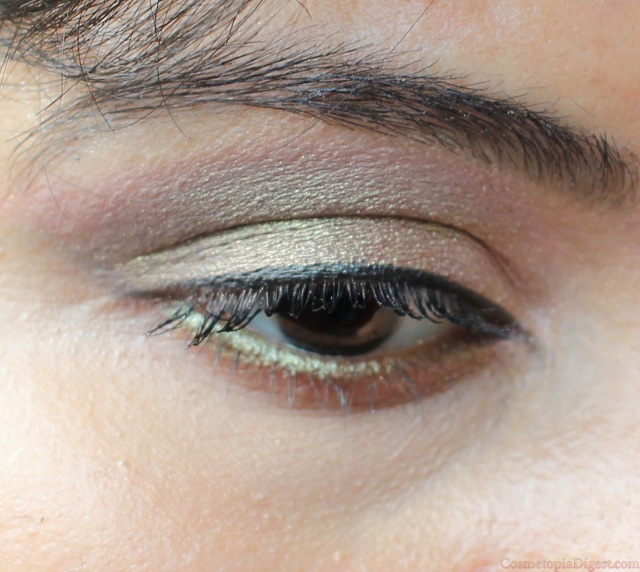 The eyeshadows are super-pigmented, even without primer, and wear beautifully on my oily eyelids. As is the case with most powdery eyeshadows, there is some fallout, particularly when you perform a foxtrot with a shader brush. I always apply primer, so that puts paid to any niggling issues. 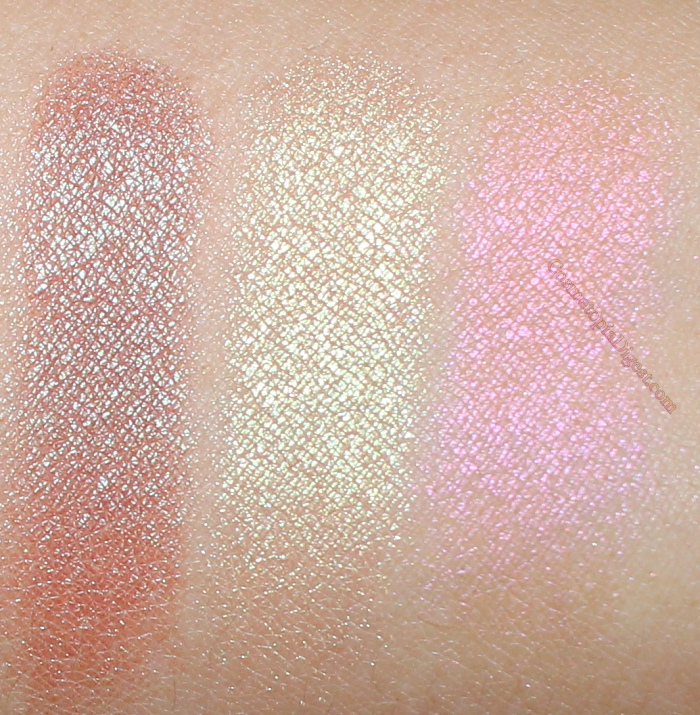 Also, I can get away with use of just one of these for an EOTD, and maybe a neutral highlighter for the inner corners. You can use the paler duochromes as highlighters, but IMO, more than one shade could be overkill, given the shift, and you know I'm all about subtler looks. So how duochrome are these? The intensity of the shift varies from shade to shade. The paler ones only show the shift under direct sunlight, or similarly apt lighting conditions. The deeper ones are more evident duochromes. That said, the duo-shift is very homogenous. It's not like having, say, a black eyeshadow with the odd purpley glitter thrown it. Here's a closer look at Havoc, Ritzy, and Steampunk. 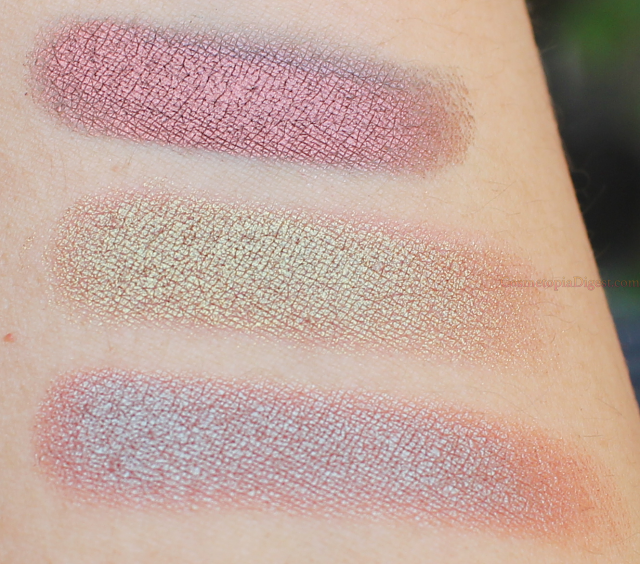 You can see the duochrome-ness/colour shift within the pans. Now for swatches. I have close-ups further below, where you can really see the shifts. 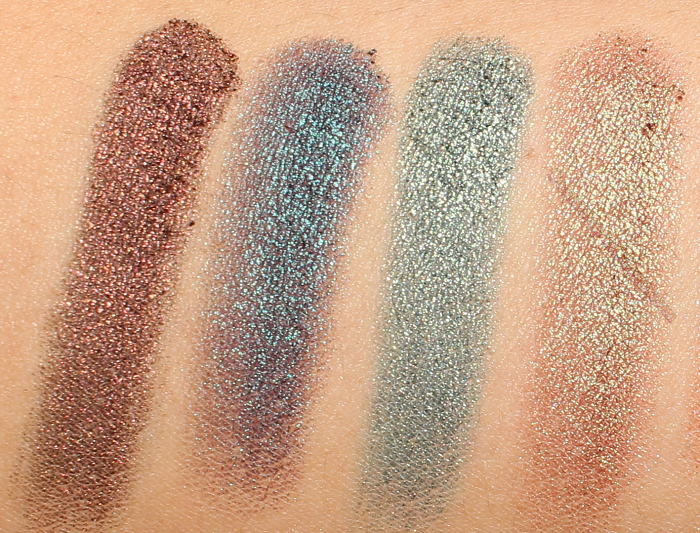 Steampunk, Secret Garden, Typhoon, Ritzy, Havoc, Karma, and Mai Tai. Now for a closer look. Direct sunlight first. 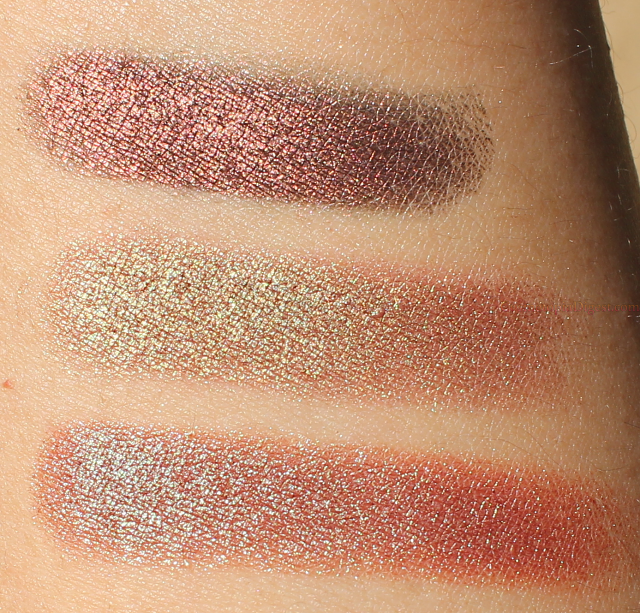 From left, these are Steampunk, Secret Garden, Typhoon, and Ritzy. Now take a look at Havoc, Karma, and Mai Tai. Direct morning sunlight. Direct sunlight, late evening. You see why I'm this obsessed? This one features Ritzy. Just Ritzy. 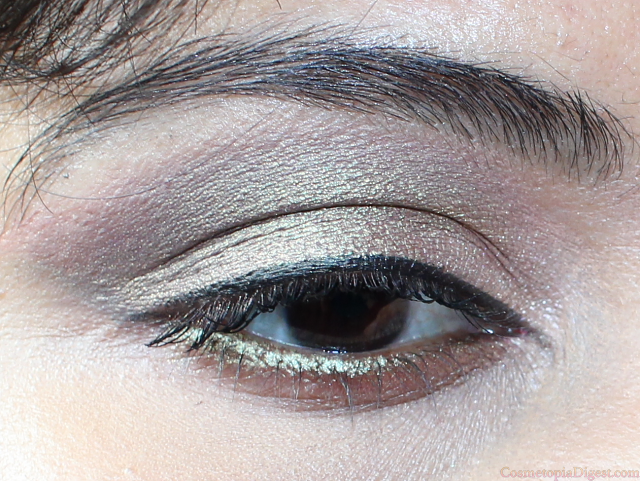 This one is Typhoon alone, with a pale highlighter from By Terry's Sun Designer Palette in the inner corners. I've been very late to jump on the duochrome bandwagon, but boy, am I ever staying on! Rather than splurging on a bazillion eyeshadow palettes - mostly with shades you already own - invest in duochromes! You only need one for a full look. They are more fun. 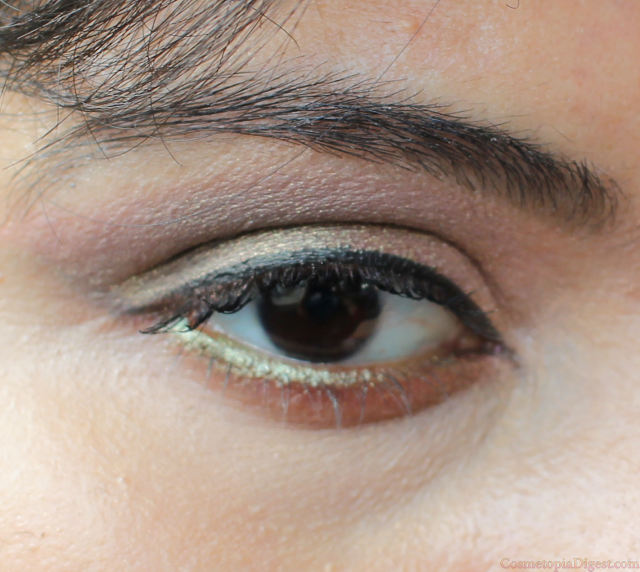 The formula is as near-perfect as any high-quality powder eyeshadow can be. You can mix and match and play with them for various looks. The possibilites are endless. What is not to love? 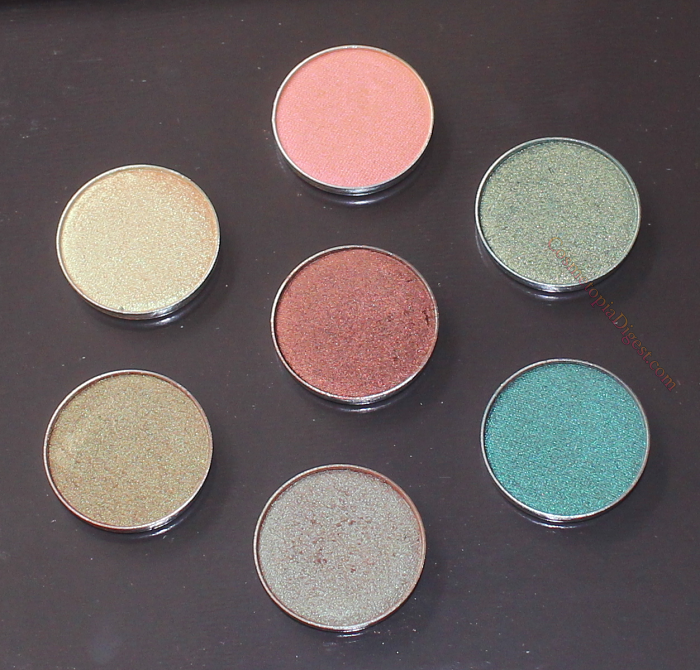 You can buy Makeup Geek eyeshadows here on Beauty Bay - they cost just £4.95 apiece, and ship worldwide.